What better way to kick off September than with two fun, vibrant and colourful billboards for Disney California Adventure and their new World of Colour attraction. 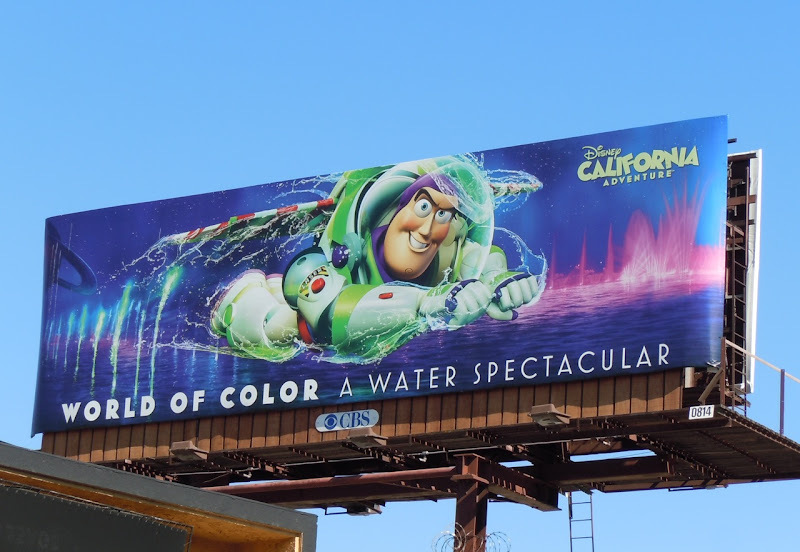 This new water spectacle uses popular characters, such as Toy Story's Buzz Lightyear and Find Nemo's turtles Crush and Squirt, and makes for some arresting billboards. 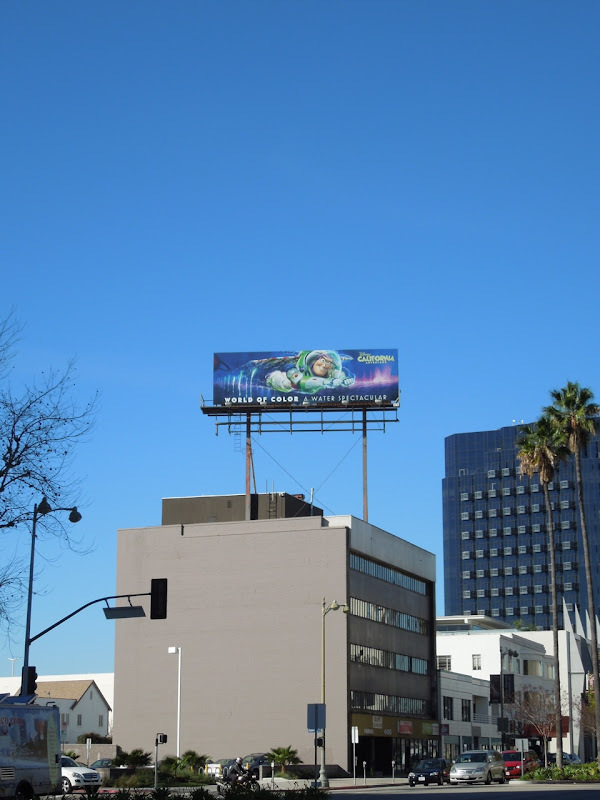 The Finding Nemo version was photographed along Ventura Boulevard on August 16 and Buzz Lightyear billboard along Laurel Canyon Boulevard in Studio City on August 19, 2010. 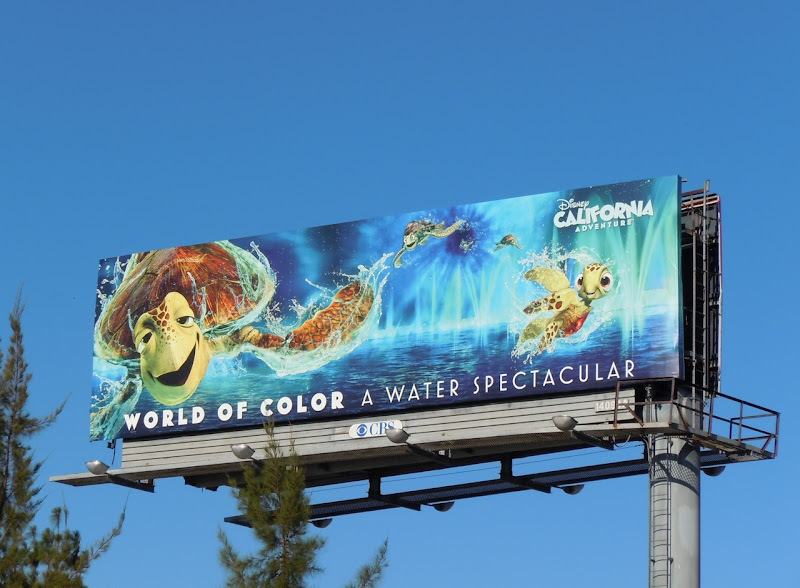 They make Daily Billboard want to go see Disney's World of Colour anyway. 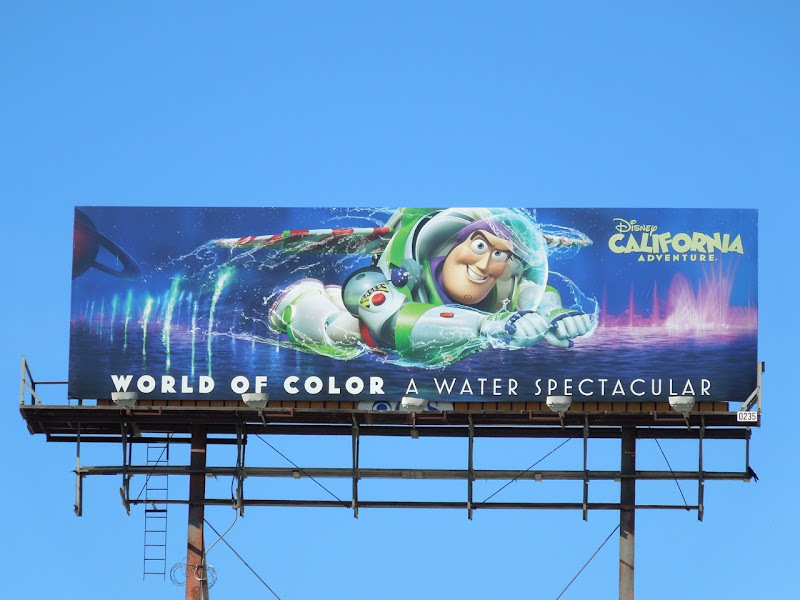 UPDATED: Buzz Lightyear has quite literally returned to the skies of L.A., and this World of Color billboard was snapped along Wilshire Boulevard on January 25, 2012.